An Alternative View of the Crimea Crisis | Words, By George! Contraversial though it is to say so, Russia’s military incursion into Ukraine’s Crimean peninsula does not represent a second Cold War. Instead, it is a rational reaction of a great power into the affairs of an unruly state in its own neighbourhood. That may sound insensitive, but hyperventilating pundits and politicians ignore an old truth about international relations: great powers are determined to protect what they deem as vital interests in their ”near abroad.” Indeed, a sphere of influence is a key characteristic of any great power, authoritarian or democratic. Many Americans, guided by a sense of exceptionalism, think they are immune to the historic tendencies of power politics. But when liberals and neo-conservatives slam Russia’s behaviour, they should recall the many US military interventions in the Caribbean and Central America since the Monroe Doctrine in the 19th century. The US sees itself as the global policeman and often exercises that belief. None of this is extraordinary; it is the way the world works, always has and always will. Since the end of the Cold War, however, a new orthodoxy has emerged: a belief that power politics no longer works in an era of globalisation. We had arrived at the End of Days: the universalisation of market democracy, the triumph of national self-determination and perpetual peace. That is why President Obama insists that Russia is ”on the wrong side of history.” But one can agree Vladimir Putin is a thug, you have often heard me refer to him as the “former KGB polkovnik“, and still believe he merely wants to restore Russia’s traditional zone of protection on its borders. After all, he presides over a great power still humiliated by the collapse of the Soviet Union and deeply resentful of the prospect of US missiles in its backyard. For Moscow, there has long been a geopolitical interest in Ukraine, even under the Tsars. Remember the Crimean War of 1853-56? More recently, Ukraine is a conduit for gas exports to Western markets. Russia’s naval base in Sevastopol hosts the Black Sea fleet. And ethnic Russians comprise nearly 60 per cent of Crimea’s citizens. 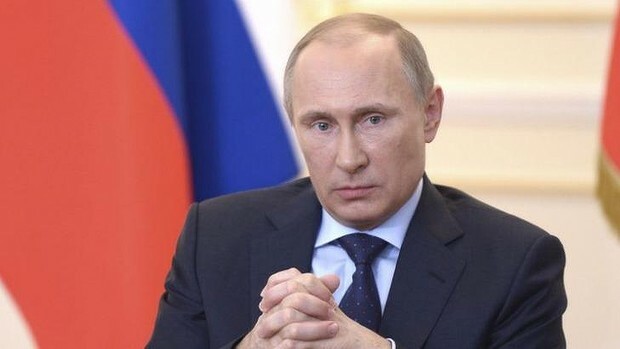 Meanwhile, a democratically elected, pro-Russian government has been overthrown. And a Western-backed interim government with no democratic legitimacy includes hard-line nationalists with links to terrorists. Of course, Putin may overreach by toppling other former Soviet satellites. But if he is as calculating as many Russian experts suggest, he is likely to encourage Kiev to allow the de facto partition of areas largely populated by ethnic Russians – from the Crimea in the south to the industrial heartland in the east. For the West to ignore Russian susceptibilities and to impose sanctions on and isolate Moscow would, as Putin warns, backfire. It could whet the appetite of hard-line Ukrainian nationalists, including anti-Semites. It could also provoke more chauvinistic elements in Russia to exploit wounded national pride in ways that could be dangerous. We are dealing with a regime whose nuclear arsenal poses a threat to the US and NATO allies. At a time when Americans are suffering from foreign policy fatigue, and the Europeans have no stomach for a stoush, it would not seem prudent to pick a fight with Russia over a region where no US army has ever even fought before, and is of little political interest to the US. Even those cold warriors, Dwight Eisenhower and Lyndon Johnson, backed away from confrontation with the Soviets when it meddled in Hungary and Czechoslovakia in 1956 and 1968. And when Communists crushed Polish Solidarity in an Ukraine-like emergency in 1981, it was (of all people) Ronald Reagan who showed restraint and caution. Why then would Barack Obama isolate resource-rich Russia nearly a quarter a century after the fall of the Berlin Wall? And why should Putin believe the West’s warnings are any more than a bluff, something done in the hope that the warning itself would be a deterrent with no intention of honouring it? Source: Tom Switzer, research associate at the University of Sydney’s United States Studies Centre.